Photo courtesy of the Walt Disney World Resort. Who says the fun has to end when the sun goes down? At Walt Disney World Resort, guests can sip, sample and play with summer-only and new premium events, plus special packages that pair with year-round favorites. Frozen Summer Fun Live! – Fans of the beloved Disney film “Frozen” can journey to Arendelle all summer long with Frozen Summer Fun Live! activities taking place at Disney’s Hollywood Studios. After welcoming Anna and Elsa every morning, then ice skating at Wandering Oaken’s Trading Post, and dancing with Olaf at the Coolest Summer Ever Dance Party all afternoon, guests can end their day with a grand fireworks show that soars above the Sorcerer Mickey Hat on Hollywood Blvd. Frozen Summer Fun Live! takes place daily now through September 1 beginning at 11 a.m. Frozen-themed fireworks, set to popular tunes from the film, light up the sky at 9:45 p.m. each evening, weather permitting. “The Frozen Summer Fun Premium Package,” which offers special viewing for three of the new experiences, includes an exclusive dessert party in a reserved area while viewing the Frozen fireworks. Packages cost $59 for adults and $34 for children (including tax and gratuity). For more information, guests may call 407-939-1939. Fantasmic! – Mickey Mouse’s imagination comes to life during this nighttime show featuring favorite Disney heroes and villains at Disney’s Hollywood Studios. Fantasmic! 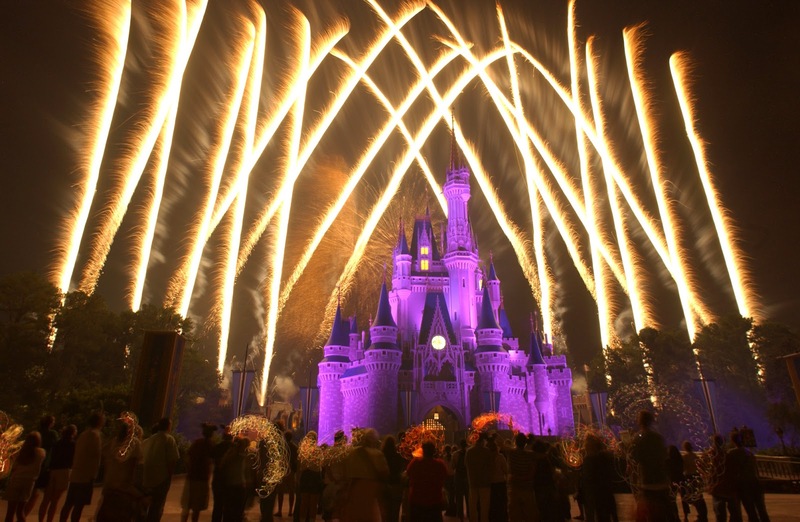 immerses spectators in Sorcerer Mickey’s dreams by using stunning pyrotechnics, laser lights and dramatic effects. This show plays nightly, weather permitting. Harambe Nights – To celebrate the 20th anniversary of Disney’s Academy Award-winning film, “The Lion King,” the streets of Harambe Village at Disney’s Animal Kingdom are bursting with excitement and after-hours fun with the all-new summer series, Harambe Nights. The 55-minute theatrical extravaganza, “The Lion King Concert in the Wild,” features celebrity narrators, a live orchestra, choir and special effects to retell the story of “The Lion King” in a way that’s never been done before. After the show, guests are invited to a lively street party right outside Harambe Theater, which features Afro-pop rhythms, performers, and a buffet of African culinary creations that are sure to delight. This is the theme park’s first-ever after-hours ticketed event. Tickets for the event, which runs every Saturday now to August 9, are priced at $119 ages 10 and up; $79 ages 9 and under. Premium floor seating tickets are $134 ages 10 and up; $94 ages 9 and under. Harambe Nights runs from 7-10:30 p.m. Parking is complimentary. Guests may visit Disneyworld.com/harambenights or call 407-939-1319 for more information. IllumiNations: Reflections of Earth — The story of Earth unfolds dramatically during IllumiNations: Reflections of Earth at Epcot. In this stunning retelling of Earth’s history, lasers, fireworks and water effects leap across the sky around the World Showcase Lagoon each night, weather permitting. IllumiNations Sparkling Dessert Party – Enjoy IllumiNations while tasting sweet treats from select World Showcase nations at the IllumiNations Sparkling Dessert Party. Sample Tiramisu from Italy, Vanilla Pot de Crème from France, Shortbread Cookies from the United Kingdom, Traditional Baklava from Morocco, Sugar Dusted Cronis with strawberries and whipped cream from America, and Disney Parks ice cream novelties. Paired with the perfect international sparkling wines, everyone is sure to find something to please their palette. Epcot After Hours Wind Down – In an intimate experience set at one of four authentic and exclusive lounges at Epcot, award-winning Epcot chefs and sommeliers treat guests to a beverage flight and a sample of cultural cuisine with the Epcot After Hours Wind Down experience. The wind down takes place after the nighttime spectacular Thursday through Sunday from 9:20 p.m. to 11 p.m. at: La Cava del Tequila (Mexico), Spice Road Table (Morocco), Tutto Gusto Wine Cellar (Italy), Rose & Crown Pub (United Kingdom). The menu includes a selection of appetizers and one beverage flight. The price is $35 per person/per location, and a cash bar option is available. 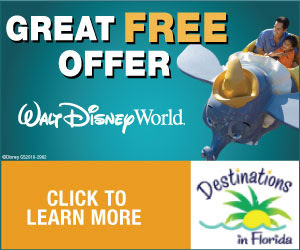 For more information, visit Disneyworld.com/spring or call 407-WDW-DINE. Wishes Nighttime Spectacular – Skies above Cinderella Castle blaze in all colors as the story of the power of believing unfolds. Wishes Nighttime Spectacular at Magic Kingdom delights guests of all ages, lighting the nighttime sky with dazzling fireworks. Disney favorites like Tinker Bell and Jiminy Cricket even make an appearance during the nightly show. Main Street Electrical Parade — The streets of Magic Kingdom glow and twinkle as Tinker Bell and friends make their way down Main Street, U.S.A, as part of the beloved Main Street Electrical Parade. The parade, which features more than half a million dancing lights and catchy electronic tunes, has been delighting crowds since 1972. Join Tink and other loveable Disney characters twice nightly at 9 and 11:00, weather permitting. Tomorrowland Terrace Fireworks Dessert Party – A perfect view of Cinderella Castle and the sights and sounds of Wishes Nighttime Spectacular can only be made sweeter with one thing: dessert. Enjoy the combination of sweets and fireworks at the Tomorrowland Terrace Fireworks Dessert Party at Magic Kingdom. Tables at Tomorrowland Terrace Restaurant are brimming with pastries, cookies, chocolate-covered strawberries and many more mouthwatering desserts with a nearly unobstructed view of Cinderella Castle and the sky above. This delicious fun takes place one hour before is scheduled to begin. (Note: Wishes Nighttime Spectacular can be canceled or rescheduled without prior notice.) Guests may call 407-WDW-DINE to make a reservation at least two weeks in advance. Disney’s Polynesian Resort hosts the “Disney’s Spirit of Aloha Dinner Show” which features authentic Polynesian dancing with a cast from the South Pacific. Highlights of “Polynesian Luau” include traditional drumming and music, and dances including the hula. Show times are 5:15 and 8 p.m., Tuesday-Saturday. Prices are $67.99, $62.99 and $58.99 for ages 10 and over and $35.99, $30.99 and $29.99 for ages 3 to 9. Prices include tax and gratuity. “Hoop-Dee-Doo Musical Revue” at Disney’s Fort Wilderness Resort & Campground Pioneer Hall is one of the longest-running dinner shows in the United States, offering a down-home musical and comical revue with all-you-can-eat barbecue ribs, fried chicken, corn on the cob, strawberry shortcake and beverages. The show times are at 4, 6:15 and 8:30 p.m. nightly. Prices are $65.99, $58.99 and $54.99 for ages 10 and over and $33.99, $28.99 and $27.99 for ages 3 to 9. Prices include tax and gratuity. “Mickey’s Backyard BBQ” offers an all-you-care-to-eat country-western hoedown at Disney’s Fort Wilderness Resort & Campground Pavilion. Set in Huck Finn and Tom Sawyer’s old stompin’ grounds, the covered pavilion hosts this outdoor picnic where kids and adults alike can line dance alongside their favorite Disney characters with toe-tapping beats from a live country-western band. This dinner show is only offered on select nights from March through December. Prices are $59.99 for ages 10 and over and $36.99 for ages 3 to 9. Price includes tax and gratuity. All three dinner shows are available to the general public. For reservations and information, guests may call 407-WDW-DINE. At Downtown Disney West Side, nightlife is hot, hot, hot. The fantasy of Cirque du Soleil comes to life twice nightly, five days a week with La Nouba. Live performances by chart-topping musical groups are on the menu along with authentic Mississippi Delta cuisine at House of Blues. A taste of Miami’s South Beach sizzles at Downtown Disney with Bongos Cuban Café, which is backed by superstar Gloria Estefan and her husband/producer, Emilio. At nightfall, Disney’s BoardWalk captures the charm of yesteryear at the mid-Atlantic seashore. Take a stroll down the twinkling boardwalk, rent surrey bikes, try out amusing carnival games or visit themed restaurants and showplaces. Jellyrolls and Atlantic Dance Hall open their doors to folks looking to sing-along or boogie the night away. After-dark choices are endless – and endlessly exciting – at Walt Disney World Resort.